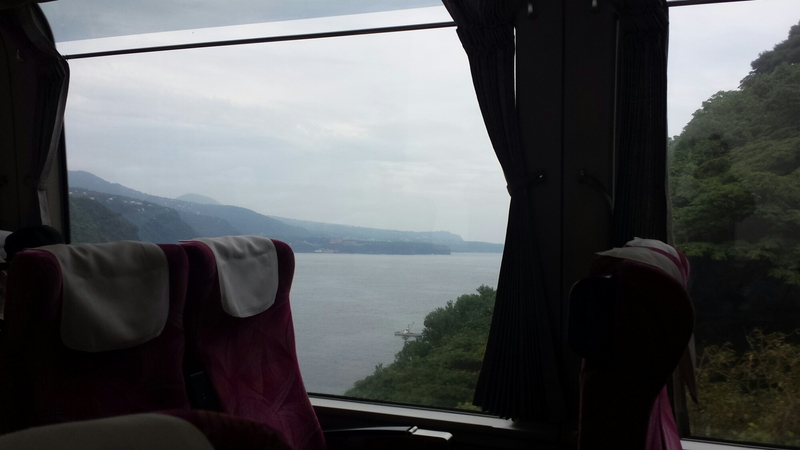 After a little stress about which platform the Super View Odoriko left from, we have safely taken the 3 hour journey from the capital city right down to the tip of the Izu Peninsula. 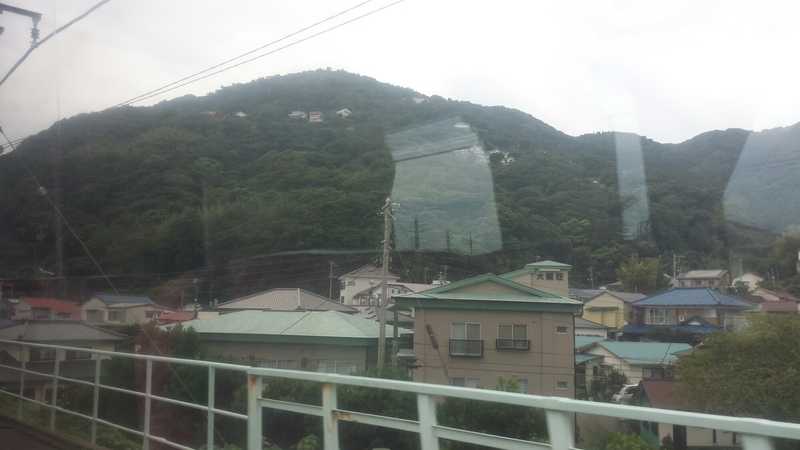 However we had an hour in the town of Shimoda before our Ryokan hotel were picking us up from the train station. 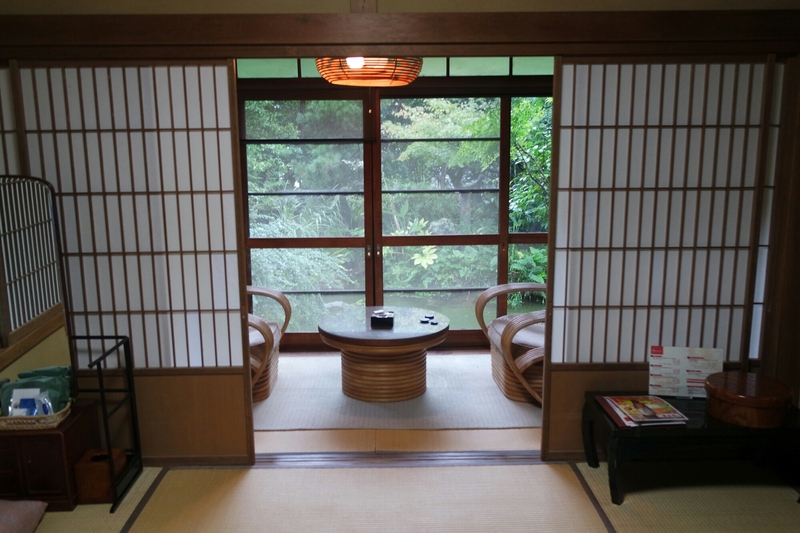 Ryokan are traditional style Japanese hotels. 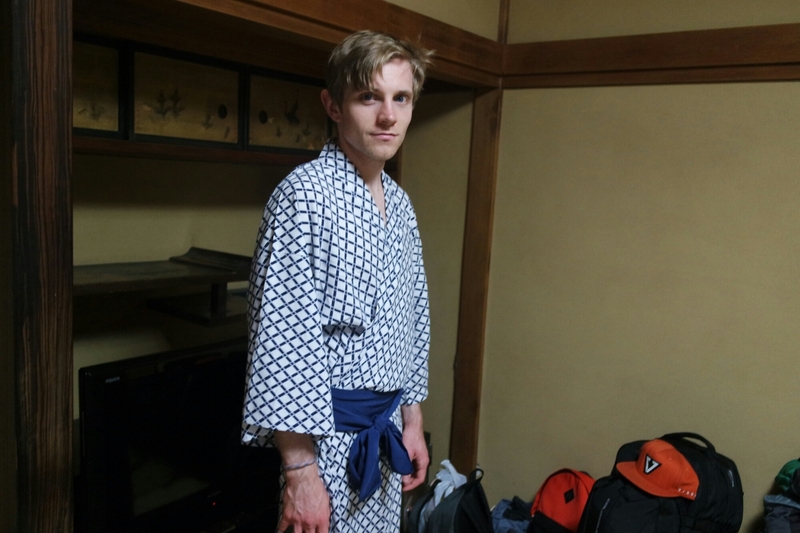 Everywhere has sliding doors, you exchange your shoes for sandals upon entry, the rooms have tatami mats and open up onto a beautiful rock pool and the dress code and food or very Japanese. 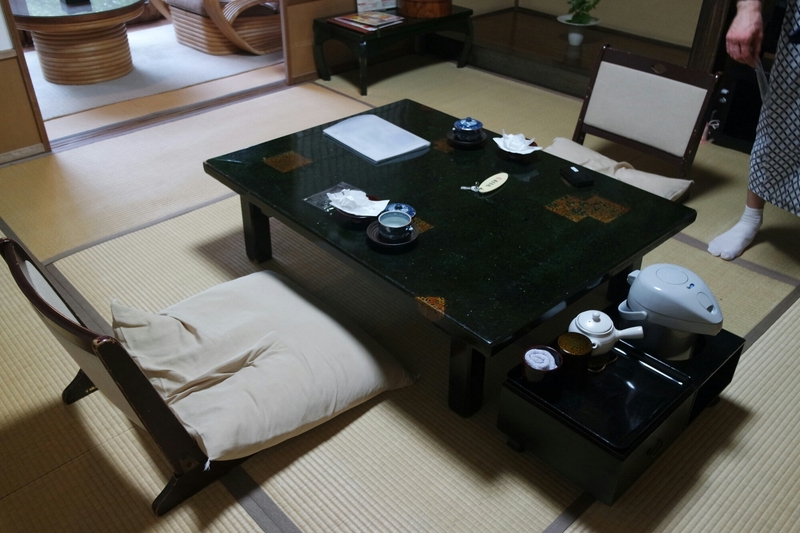 I sit here right now wearing a Yukata robe and it’s very comfortable. 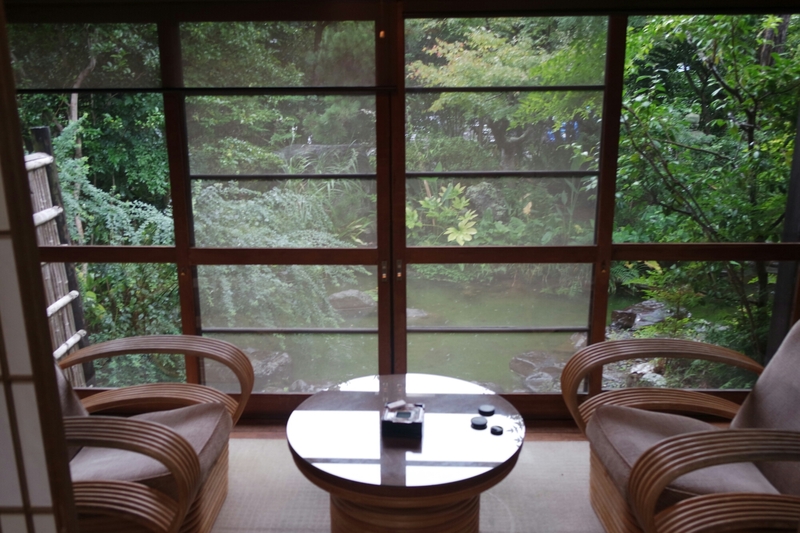 Our particular hotel is also an Onsen (hot spring) leading to the ultimate truth that this is a very relaxing place to be. 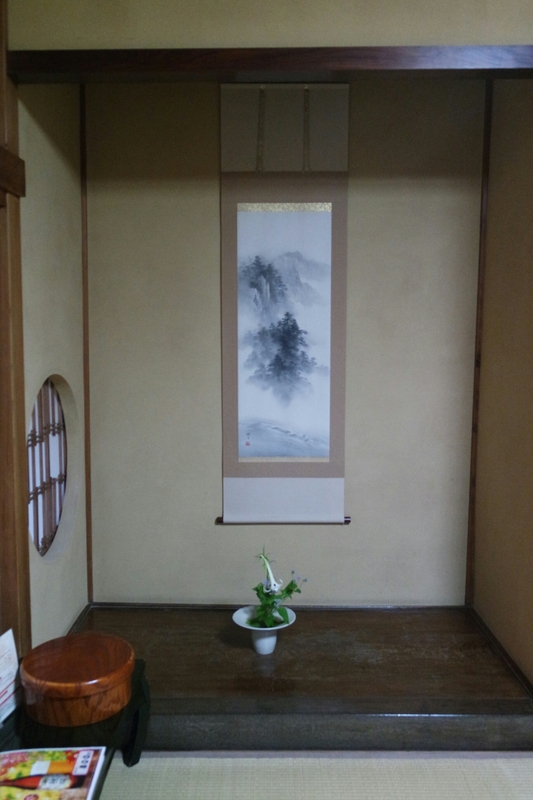 It is the most we’ve spent on a hotel by far mind, but it’s pretty awesome to experience. 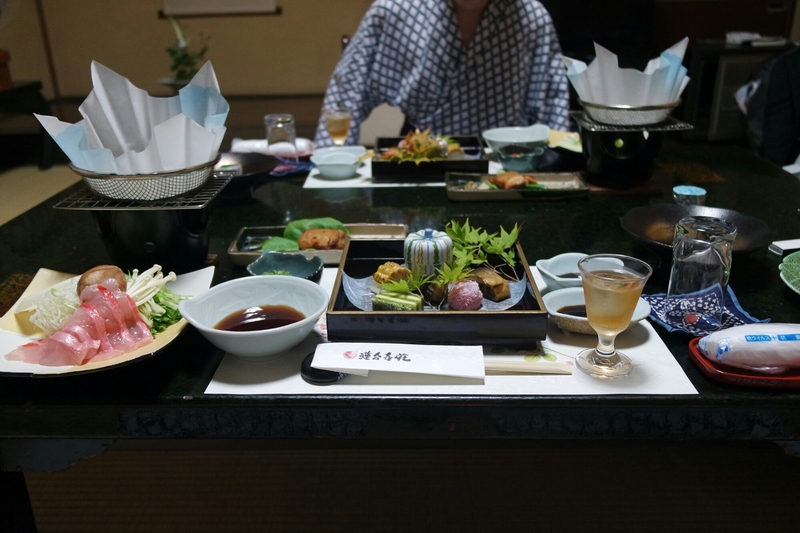 I’ve attached several images of the place including the dinner we were served which I’m pretty sure I could only tell you what around 30% of the stuff we ate actually was… The rest was a mystery.